In The Hoop Funny Wedding Sign. 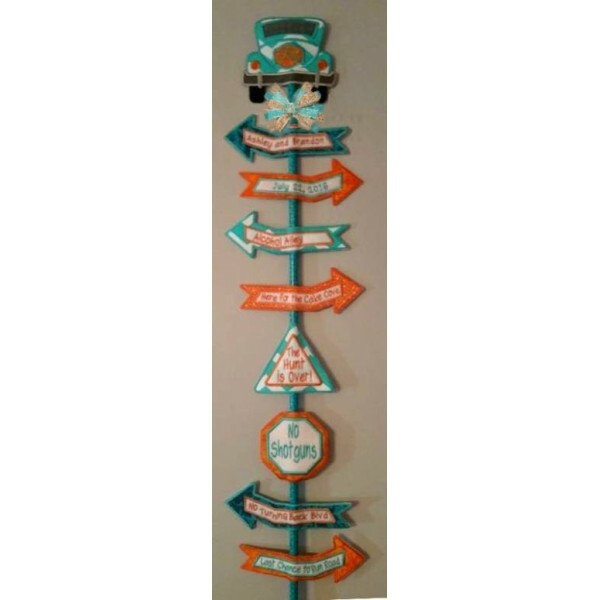 Comes with 2 blank arrows to personalize along with street signs for Last Chance to Run Road No Turning Back Blvd Here for the Cake Cove & Alcohol Alley. Also includes 2 warning signs No Shotguns and the Hunt is Over. In The Hoop Funny Wedding Sign. 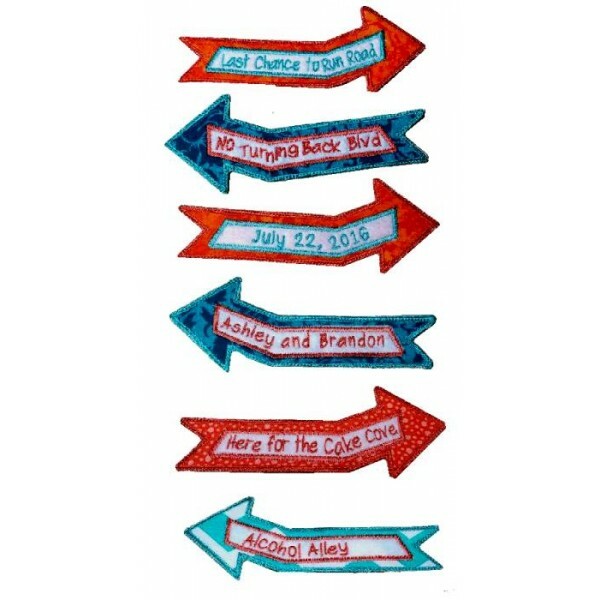 This is adorable and perfect for a fun wedding! 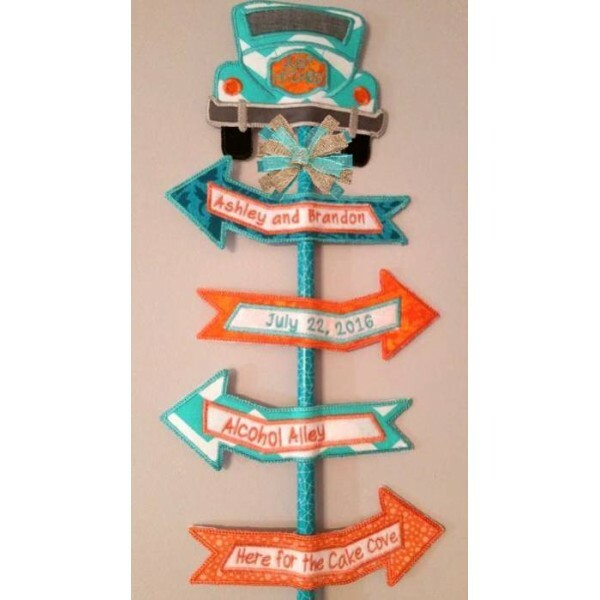 Comes with 2 blank arrows to add names and date along with street signs for Last Chance to Run Road, No Turning Back Blvd, Here for the Cake Cove, and Alcohol Alley. 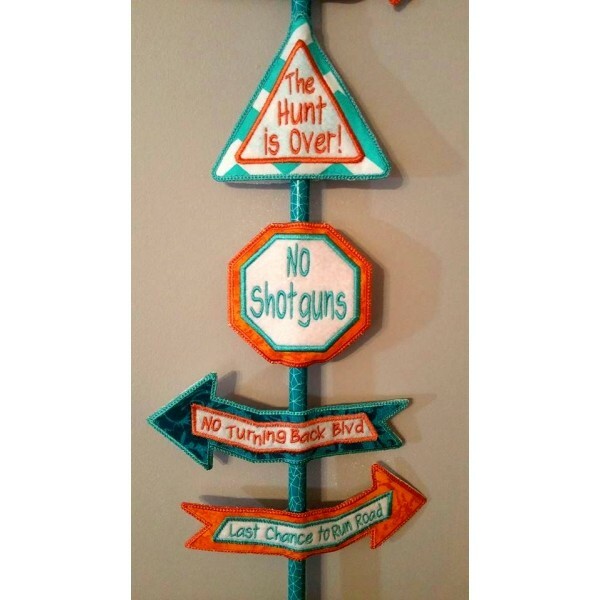 Also includes 2 warning signs No Shotguns and the Hunt is Over. 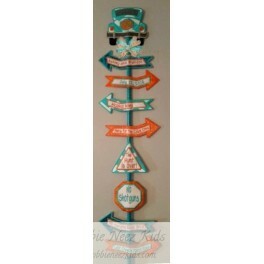 The top is a cute back end of the car that says Just Hitched!